Sources say Apple will debut three new iPhones, along with a “showcase iPhone” to celebrate the 10th anniversary of the device, which will have a larger screen, facial recognition technology and be more expensive. Last year’s iPhone 7 models are expected to get updates as well. 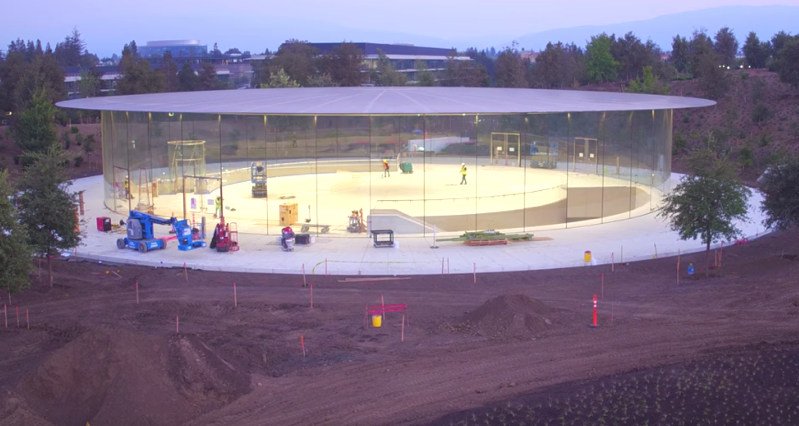 The WSJ says Apple plans to use the new 1,000 seat Steve Jobs Theater at Apple Park for its presentation, but as we’ve seen, construction is not yet complete. Apple held its previous two fall events at the Bill Graham Civic Auditorium in San Francisco. People familiar with the matter tell the Journal Apple has ramped up ‘iPhone 8’ production in the past few weeks, ready to expand from one plant in China to other factories, to meet holiday demand. Apple will also debut a cellular Apple Watch with LTE capabilities, allowing the latter to finally become independent of the iPhone. Last week we also heard about a new 4K Apple TV coming via Bloomberg, but no mention of this was in the WSJ’s report. The special event date noted by the WSJ seemingly corroborates a previous claim of September 12 made last week by French site Mac4Ever. If anything, we should see Apple send out invites to the press this week. Last week, the NYT said Apple’s entry level ‘iPhone 8’ would start at $999 USD, a premium price for their latest device. Expect the price in Canadian dollars to start at $1300 or more. Get your wallets ready, folks.